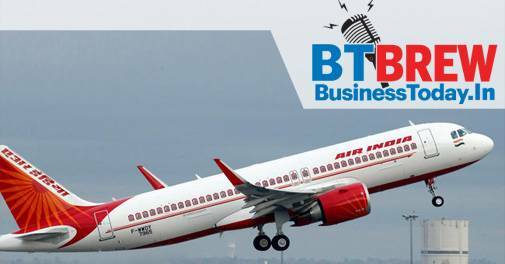 Tata Group is unlikely to consider a bid for Air India as the government's terms are just too onerous, Reuters reported today. The report suggests three terms - merger with existing airline, job security of staffs and ownership of debts - that may have deterred the Tata Group from buying the national carrier. Tata Group till few months ago was seen as a potential bidder for the national airline. Last month, the government came out with a detailed preliminary information memorandum on the national carrier's stake sale. As per the memorandum, the winning bidder cannot merge the airline with existing businesses and they will also have to bear the responsibility of a massive debt. Facebook CEO Mark Zuckerberg on Tuesday said his organisation was committed to ensure integrity of elections across the world, including India, as he testified before the US Congress. There has been a firestorm over the alleged hijacking of data of millions of Facebook users by British firm Cambridge Analytica. He said data privacy and foreign interference in elections were topics that they have discussed at the Facebook board meeting. He also said Facebook was taking steps to ensure integrity of elections in countries like the United States, India, Brazil, and Pakistan. As the world's largest brick-and-mortar retailer Walmart and online e-commerce giant Amazon battle it out for a controlling stake in India's largest e-tailer, everyone wants to know which US-based giant is likely to offer a better deal to lure Flipkart investors. According to a Bloomberg report, the country's biggest e-commerce company is leaning toward selling a controlling stake to Walmart rather than Amazon, because of the 'greater certainty' in such a deal. In some good news, the Asian Development Bank has revealed its annual outlook for the Indian economy. The report has revealed that India's economic growth will pick up in 2018-19 to 7.3% on the back of improved rural consumption and a modest rise in private investment.